How do you avoid mediocrity and apathy in the team you lead? At many companies today, innovation is the rallying cry, but bunting for singles is the everyday ethic. So how can you lead a team to be truly innovative? How can you inspire innovation, even from employees who aren’t in R&D? And how can you support process-based innovation, not just product-based innovation? To help us address these questions, we’re pleased to invite back our previous guest Todd Henry. 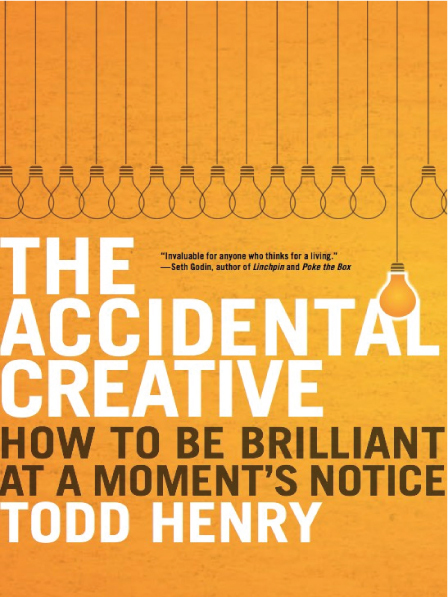 Todd is author of the book The Accidental Creative: How to Be Brilliant at a Moment’s Notice. He regularly speaks at companies and conferences about how to build practices that lead to better ideas.